Hello everybody. I’m Caryn Hartglass and you’re listening to It’s All About Food. A very happy, lovely June 4th 2013 to you. Today we’re going to talk about, you know, food. It’s all about food—but specifically food politics and we have the very best person, I think, on the planet to talk about food politics with us today, Dr. Marion Nestle. She is a Paulette Goddard Professor of Nutrition, Food Studies, and Public Health and Professor of Sociology at New York University. Author of Nutrition in Clinical Practice, she has served as a nutrition policy adviser to the Department of Health and Human Services and is a member of Nutrition and Science Advisory Committees to the United States Department of Agriculture and the Food and Drug Administration. She is the author of Safe Food, Pet Food Politics, Why Calories Count, as well as What to Eat. We’re going to be talking about Food Politics, now in its tenth anniversary edition. Caryn Hartglass: Hi, Dr. Nestle. How are you today? Marion Nestle: I’m just fine. Marion Nestle: Sorry about that. Caryn Hartglass: Although, it’s frustrating to read because of so many different things we’re going to be talking about but also I realize a lot has happened in the last decade and you have been leading the charge so thank you for that. Caryn Hartglass: OK. Let’s talk about what’s changed in the last ten years. Marion Nestle: Well I think the big one is that so many more people are interested in these issues than were ten years ago. I mean, it’s kind of overwhelming. Ten years ago when Food Politics first came out, the idea that food was political seemed just weird to people. They couldn’t understand what food and politics had to do with each other—so much so that the designer of the cover set “Food” and “Politics” in two different typefaces because they just seemed so discordant. Now everybody understands that food is political. All you have to do is look at what’s going on in Congress right now. They’re dealing with the Farm Bill. Caryn Hartglass: It’s amazing. It’s still hard for me to believe. I know it’s going on but it is hard to believe. So frustrating and so unbelievable that so many decisions are made on a regular basis that really are not in our best interest but are basically following the money. Marion Nestle: Right, and are made by people who cannot possibly understand the issues because they are so complicated and there are so many of them. Caryn Hartglass: Right. OK so let’s touch on a few of those complicated issues. You go into quite a lot of depth about the four food groups, the food pyramid that is now “My Plate” and the whole history behind it. It’s fascinating to read. I remember the four food groups when I was in elementary school and I was not comprehending a lot of what came after it. Can you just briefly touch on where we’ve gone, how this all started, and where we’ve ended up? 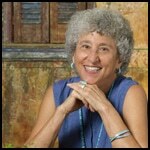 Marion Nestle: The basic idea was that there were a lot of nutrient deficiencies among a lot of people in the United States that became very apparent during the Second World War when roughly half of the young men who were going to go into the army had so many physical problems that they couldn’t be taken in at the beginning of the war. That got people really looking at the nutrient quality of the diets that people were eating and the dietary recommendations started coming out to encourage people to eat a greater variety of foods. That was the main problem. Most of the number of foods that people were eating were so limited. All of the guidelines were to get people to eat more of a variety of foods. And of course, everybody loved that advice because the food industry could do well by that if people were supposed to eat more of everything. But then when the disease problems among the population shifted in prevalence from problems related to not enough food or right kind of food to too much of the wrong kind of food and people started having a lot of heart attacks and type 2 diabetes and getting overweight and so forth, the dietary guidelines had to shift. And they had to shift towards eating less. And at that point they got into big trouble because eating less is very bad for business and the businesses that were producing foods that were on the receiving end of “eat less” advice didn’t like it and fought it with every tool they possibly could, starting with lobbying and using public relations and all of the other kinds of techniques that food companies do to distract people from any harm that their products might cause. So that’s the history in a nutshell. Caryn Hartglass: In a raw nutshell. Marion Nestle: Yes, of course. Caryn Hartglass: No oil and no salt in that shell. You talk a lot throughout the book about eating more versus eating less. Certainly eating more is good for business but whole foods and healthy foods are not necessarily good for business. So it seems to be that more processed foods are good for business and that’s really what we want to eat less of. Marion Nestle: Whole foods are not good for business because there’s no intermediate and farmers themselves get a very, very small percentage of the food dollar. That’s the way our food system works. It’s designed at the moment to profit and to support all of the intermediaries between the time that food is grown and the time that it’s consumed. Packaged foods are extraordinarily profitable for the intermediates in the food chain. The farm system supports that kind of program without supporting fruits and vegetables, which are considered to be specialty crops. Caryn Hartglass: I know. Specialty crops. So that’s a big mouthful and the question I have is: Do you think it’s possible to change the system so that it supports and encourages whole food, minimally processed foods, a healthy diet that reduces our healthcare costs and increases our health and longevity? Marion Nestle: As simple as that idea may seem, the present Congress isn’t going to do that and it’s unrealistic to think that it’s going to do anything other than put little tiny tokens into the agriculture bill in order to support healthier eating. There will be a few tokens. I think they may end up but all of the pressure on the legislation is to cut the budget and to not put in anything new that’s going to change the way agriculture is currently conducted. So it has to be kind of a bottom-up approach and the more people that buy organics, the more people that support locally grown food, the more people that grow their own food, the more that pressure will move in that direction. I think eventually there will be legislative support for it because the healthcare costs are going to be astronomical if things don’t change. At some point we’ll have a Congress that is interested in governing and that really is going to be looking at these long-term issues in a serious way and I hope that happens in my lifetime. Caryn Hartglass: Yes. I hope so too. It’s such a frustrating conversation. I was reading an article recently about Silicon Valley entrepreneurs and how they like to move at lightning speed and accomplish things very quickly. They’re very frustrated with government and they like to bypass government because government moves so slowly and they’re certainly moving very slowly with respect to food and some of it has to do with corruption and some of it has to do with education and some of it has to do with limited funding—but maybe we should be bypassing government to change our food system. Is that possible? Marion Nestle: We are. We are. That’s what the local food movement is about…and the organic movement and all of this in a way is about bypassing government, although government got involved in organics. But these other kinds of things that are going on are happening outside of it and also government has moved down so that a great deal of the action that’s taking place in food politics these days is taking place at the local level because the national is so impossible. I mean, we have a government that is not only moving slowly, it’s not moving at all at this point. I have a couple things that I keep track of. We still don’t have menu labeling and it was signed into law three years ago. That’s slow. Caryn Hartglass: We don’t have what kind of labeling? Marion Nestle: Menu labeling: calorie labeling on fast food and that kind of thing was signed into law in 2010 and the rules still haven’t been issued because they’re being held up because of political reasons. Caryn Hartglass: Right. Another thing that you say often…I saw a bit in this book…is vote with your fork but vote with your vote. I like that. I certainly believe that we should all be getting involved with the government. Are there things we should be voting for? Are there people that we should be voting for because the government really isn’t moving but are there things we can be getting behind? Marion Nestle: Well I’ve been telling students (?) to be running for office. If they were to change the way government functions, they have to introduce people into government who are not corrupted by the electoral system that requires candidates for public office to collect so much money. You can’t run for public office unless you’ve got hundreds and hundreds of millions of dollars and that has to change in some way if we’re going to have a government that’s not corrupt. Caryn Hartglass: How is it that you never got corrupted? Marion Nestle: Oh I have tenure at the university. Caryn Hartglass: Oh that’s the secret. Marion Nestle: In my case, it’s very simple. I turn out to not like having a lot of things around so I don’t have enormously expensive taste and I’m made very happy by very simple things. But besides that, I have a secure job at a university that pays my salary. I don’t need money from any other sources to do the kind of research that I do. I’m in an enormously privileged position and I take the responsibility that goes with that privilege very seriously. Caryn Hartglass: I’m glad that you have it and that you’re making the best of it. Now I know that there are so many different things that come out of scientific journals and then we hear sound bites from the media that are very hard to understand what the full picture is and research dollars are difficult to come by in order to keep really objective about whatever the project is that one person might be looking into. But there was an article that came out recently in The Permanente, the Kaiser-Permanente journal, on nutrition for physicians on a plant-based diet. Marion Nestle: I haven’t seen it. I’m sorry. Caryn Hartglass: You might like this. I’ve been waiting for this for decades but it was a pretty comprehensive journal article where they recommend to physicians that they should be telling their patients to eat plants. Marion Nestle: Well, that’s a good idea. Kaiser-Permanente is…I’ve always had this very cynical question about the healthcare system and the question is: To what industry’s advantage would it be if people in America ate healthfully and ate a healthy diet? I’m hard-pressed to think of one—except for Kaiser Permanente, which is a health maintenance organization that is a very large one that has a very deep focus on prevention of illness because they do better if people are healthier. So they have a vested interest in making sure that their patients are healthier. That’s why they’ve started farmers’ markets at a lot of their hospitals and have a lot of worksite wellness programs and encourage their patients to eat healthfully and engage in healthful lifestyle practices. Caryn Hartglass: I wish they were in New York. Marion Nestle: Yeah, I wish they were in New York too. I really miss them. I grew up in Kaiser because I grew up in California and we were members of Kaiser and I certainly do miss it. Caryn Hartglass: OK. Here’s another one. This is more action happening at a local level. Recently we heard that school 244 in Flushing, Queens became the first public school in the nation to serve only vegetarian meals. Marion Nestle: Yeah, that’s interesting. I wonder how that came about. I don’t know much about it. I’d just be happy if the schools served more vegetables and many of them are. I’ve been to schools in New York City where programs have been instituted to have healthier food in the school and they’re kind of amazing to see. You see teenaged boys in some of the poorest areas of the city eating salads and loving them. And you think that this really can work. Caryn Hartglass: Right. I love seeing that. I love seeing that because when kids are nourished then they’re really capable of doing great things. Caryn Hartglass: So let’s just jump in and talk about children. You do a lot of coverage about all of the marketing that’s gone on over the decades to children and it just breaks my heart to read about it. And I’ve known about it but to just read about it in a concentrated section just brings it all home. Are we moving in a positive direction with marketing bad foods or good foods to children? Marion Nestle: Well the food industries insist they’re not marketing to kids under the age of 12. I don’t know whether or not that’s true. I think, yes and no. They’re not marketing in the visible ways that they used to market to kids but they’re doing it in invisible ways. A lot of the marketing is electronic now where parents can’t really get a very clear handle on it. Again, all of this comes back to that the companies that make products that are sold or marketed to children need to sell those products in order to make a profit and if they’re not selling those foods then they’re not going to make a profit and their stockholders will get upset and their CEO will lose his job and all these bad things will happen so they can make promises with one hand but in practice it fails to go down. Then they have to change their practices. We’ve seen this over and over again. I remember back after Food Politics came out, one of the cereal companies produced one of those alphabet cereals without any sugar in it at all and when I heard about it I just raced to the supermarket to buy one because I knew that product would be off the market in minutes. They didn’t put any advertising dollars behind it and it was off the market in minutes. Caryn Hartglass: Oh that’s sad. Caryn Hartglass: Wow. You know and I know that it takes a lot of trial to get a certain food into the market. A lot of testing and tasting and marketing. It doesn’t happen overnight. Marion Nestle: All of those things. And food companies had never put into marketing the kind of dollars that they put into marketing junk foods. Junk foods are marketed at a much, much higher level than healthier foods are because they’re more profitable. It makes perfect business sense. It’s not that people in food companies are evil people. They’re not. At least most of them aren’t. They are just making a living. That’s all they’re doing. Most people don’t care about the consequences of what they’re doing. Caryn Hartglass: Alright. The other subject that you cover extensively is supplements and the regulating of supplements. I was interested in monitoring my own reaction while I was reading it and reading your take on it simply because I guess I fall into the category where I want to be able to get whatever supplements I want and not have them limited but on the other hand, I understand all of the safety issues that are involved. But we haven’t really gotten very far with regulating them, have we? Marion Nestle: Oh, no. We went backwards. In 1994, Congress passed the law that essentially deregulated dietary supplements so what that means is that the FDA no longer has very much authority. There’s some but not very much and companies can decide. They have a different labeling system. They can pretty much decide what they’re going to sell. They have much more leeway than food products do in advertising the health benefits of the supplements and unless something really, really terrible happens they can continue to go on doing that. Studies have shown that what’s in dietary supplements shows that there’s a lot of cost-cutting and a lot of products turn out to not have in them what they claim to have on the label so that’s kind of unfortunate. There are bad actors. There are good actors and there are bad actors in the supplement industry. It’s kind of hard for anybody to know which is which. Caryn Hartglass: So in your world, what would we do with supplements if you could have your way? Marion Nestle: Oh we would put them in brown paper wrappers and let people buy them at their own risk and hope that nothing goes wrong. That’s essentially what we’re doing now. It’s essentially what’s happening now is that it’s at your own risk. It really, really takes a lot of problems before the FDA is able to do any kind of interference with what the claims are that are being made for the product. That’s another issues that came up in that 1994 which that was written by the supplement industry by the way. I document that in Food Politics how the supplement industry wrote the language of that act. I think they made a really big mistake and that was they insisted that the government start doing research on the efficacy of dietary supplements. That was a mistake because no matter how hard the Office of Dietary Supplements with the Office of Alternative Medicine have tried to find a supplement that actually had demonstrable benefits, they’re really been unable to do that. I’ve just seen one study that came out recently—very, very recently—that said that probiotic supplements would help people not have so much diarrhea if they were taking antibiotics and if that works out and is confirmed by other studies, it will be the first one pretty much with real benefits. And the rest of them, the better the studies are, the less they show. So supplements are very classy placebos as far as anybody can take. And I’m not opposed to placebos. They’re very, very helpful for people. Lots and lots of people take supplements and if it makes them feel better, fine. As long as it doesn’t hurt them I don’t have any problem with it. Marion Nestle: You are. Here you are. Caryn Hartglass: I had a lot of energy during some pretty debilitating treatments so I want to think that some of them—I don’t know which ones so that’s the problem—I think some of them were doing good things. Marion Nestle: Well it’s not science but if it worked for you, go for it. Caryn Hartglass: People want to know that they have access to these things before the government figures out if they even work or not. Marion Nestle: Well, not working isn’t a reason for taking them off the market. The only thing that’s a reason for taking them off the market is if they cause demonstrable harm or if they are making claims that can’t be backed up. Caryn Hartglass: Well the idea that they are claiming things are in them that aren’t in them or if there’s some dangerous product…I remember when there was some scandal about supplements coming in from I think it was India, they had things like lead and stuff in them—things that we didn’t want. Those things should be prevented at the very minimum. OK just a few more minutes. You have a new book coming out now that you have Food Politics 10th anniversary edition and I see that you have something called Eat, Drink, Vote. Marion Nestle: That’s coming out in September. It’s a cartoon book. Caryn Hartglass: Yeah. I have a little promo piece that I picked up at the Book Expo. Marion Nestle: Ah, you have the gorgeous color piece. That’s wonderful. Marion Nestle: The book’s going to be produced in full color. There are about 250 cartoons, roughly. Actually I don’t know how many there are; I think it’s about 250 and they’re being produced in color. They’re all political cartoons about food politics. It was really fun to do it. Caryn Hartglass: I bet. What I love about it is we really can’t survive or get through any of this if we don’t have a sense of humor. Marion Nestle: Well I think so. I think so. A lot of the cartoons are really funny. Some of them are nasty, some of them are funny, some of them are sad but they were really fun. We had 1100 cartoons to pick from. Caryn Hartglass: Is there any message in here in this book or you just glean what you can from the cartoons? Marion Nestle: No. It’s politics-light. I wrote text to set the context of the cartoons. It’s not very long but there’s text that goes with it. It’s got footnotes. You know, it’s a serious summary of political issues having to do with food. There’s a chapter on the food system, there’s one on marketing to kids. There’s one on GMOs, there’s one on a whole lot of issues that people are interested in. I think the message is that food is political and if you want to do something about it, you’ve got to vote with your fork and vote with your vote. Caryn Hartglass: Right. Enough said. I’m looking at the table of contents and it looks like it’s going to be an incredible work of art. Marion Nestle: I hope so. Caryn Hartglass: Thank you so much for joining me on It’s All About Food. I love you and your work. Keep on keeping on. Caryn Hartglass: Alright. Let’s take a quick break. I am Caryn Hartglass and you’re listening to It’s All About Food. While we’re taking a break you can spin over to responsibleeatingandliving.com. That’s my nonprofit website and if you have any comments or questions on this program or anything else you can send me an email to info@realmeals.org. Ok, so we’ll be back in a few.